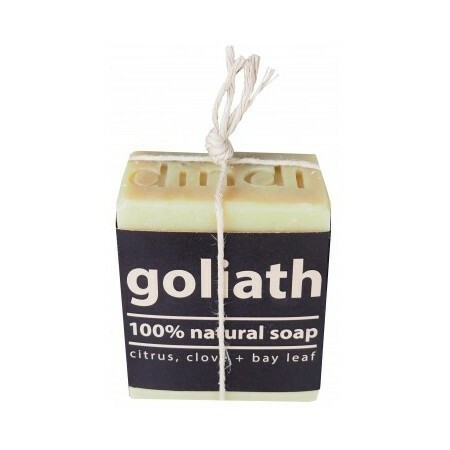 100% natural palm oil free soap handmade from the finest natural raw ingredients. The tangy tones of fresh citrus mix perfectly with spicy clove and peppery bay leaf to produce an irresistable tropical spicy treat. Great gift for people, especially blokes, who like showering with a REALLY BIG piece of soap. 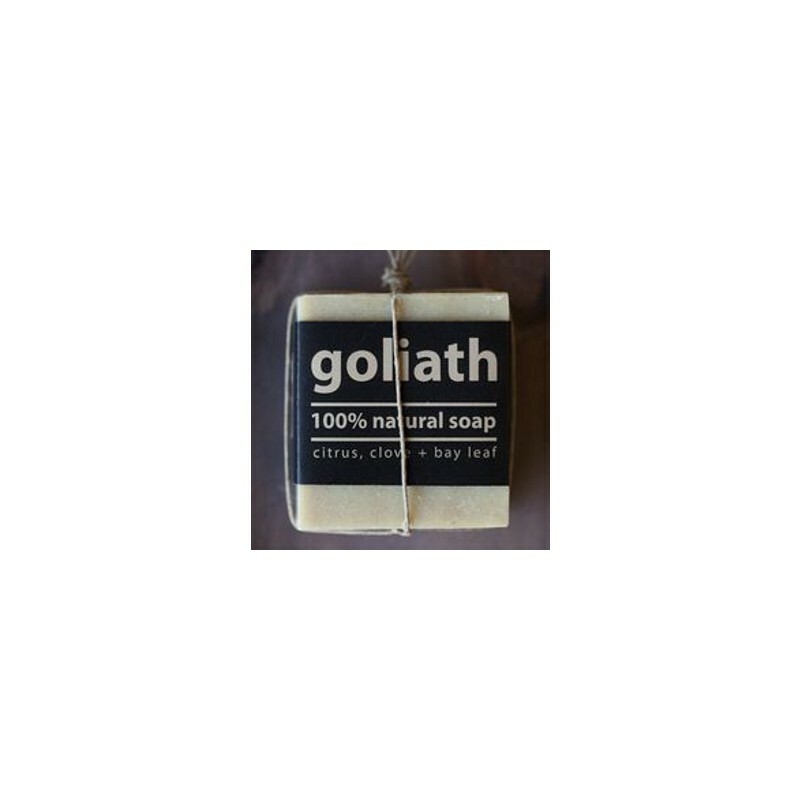 These large bars make a great gift for people, especially blokes, who like showering with a REALLY BIG piece of soap, ensuring it won't run out too quickly. The tangy tones of fresh citrus mix perfectly with spicy clove and peppery bay leaf to produce an irresistable tropical spicy treat. Saponified olive oil, coconut oil, shea butter, sunflower oil, macadamia oil, rice bran oil, castor oil, pure essential oils including sweet orange, bergamot, nutmeg, clove and bay leaf, rhassoul clay. Dad loves soap, and he rates this one! 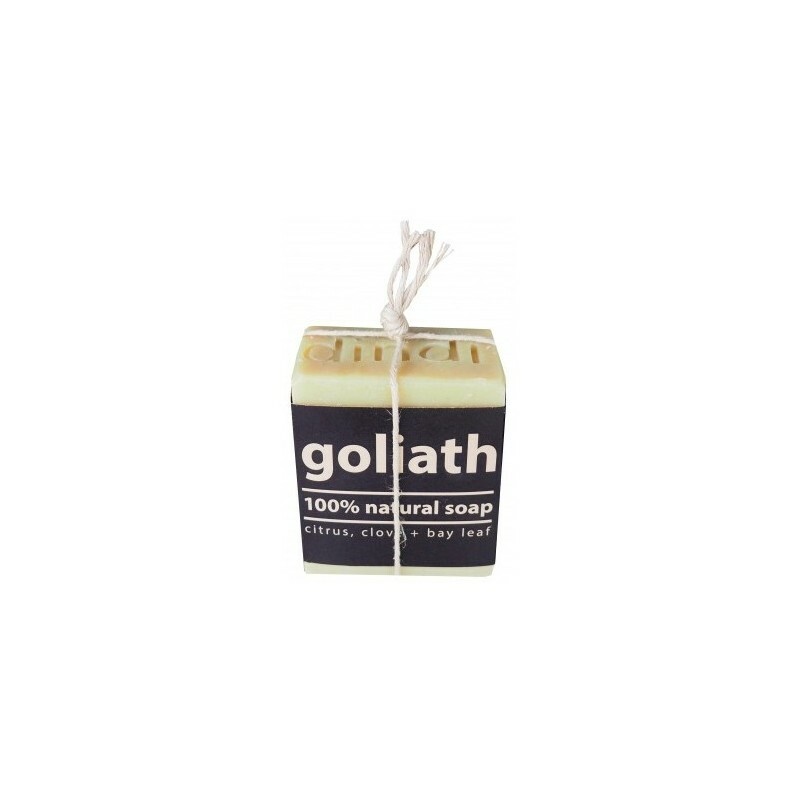 love the large size more economical but when used in the soap sack it had problems drying. Foams wonderfully for a palm-oil free soap. Love the dindi range. Sometimes wonder if I get more wastage with this bar as it stays moist for longer and leaves a bigger soap residue between uses.